At last, a makeup that’s good for the skin! The most beautiful cosmetic you can wear is a healthy skin. That’s why everything that is developed by Jane Iredale is a true extension of skin care. This makeup is not just a refinement of normal makeup; it is a new technology. So effective it is recommended by plastic surgeons, dermatologists and skin care professionals. You’ll love how easy these cosmetics are to apply and how long they last on your skin without the need for touch-ups. 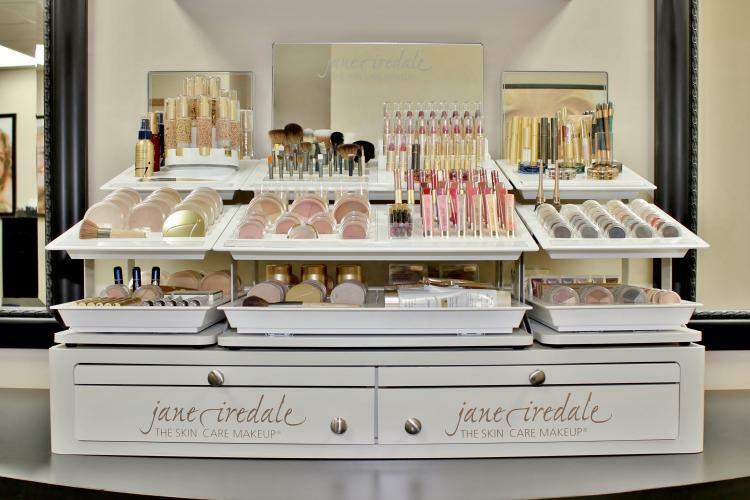 Jane Iredale mineral makeup is kept as natural as possible, while ensuring the highest performance level. Four in One. Micronized mineral bases are four products in one: foundation, powder, concealer, and sunscreen, and will disguise almost any discoloration on the skin. Broad Spectrum Sun Protection. Titanium dioxide and zinc oxide, physical sunscreen ingredients, give instant UVB and UVA Medium Protection. Fast, Weightless Coverage. Because pure pigment is used with no fillers such as talc, one quick application provides unsurpassed coverage that needs minimal touch-ups. Non-Comedogenic & Oil-Free. The minerals lay a protective filter on the skin which allows it to breathe and function normally. All Jane Iredale products passed comedogenicity laboratory tests. Hypoallergenic & Dermatologist Tested. All products are non-irritating and have been safety, allergy, and clinically tested – with no sensitivities reported. Inert. Because minerals are inert, there is very little risk of cross-contamination. Quality. Jane Iredale uses state-of-the-art ingredients to ensure the finest performance in coverage, application and texture. Vitamins and antioxidants in the makeup are pharmaceutical grade and certified organic where available. do your minerals measure up? "My skin was breaking out all the time with every makeup I tried. I finally tried Jane Iredale, and I absolutely love it. I can't believe what a difference just changing my makeup has made - I hardly break out at all. I love the way it feels, that it's super easy to use, and that the makeup won't clog my pores or harbor bacteria." "I had been using Jane for a few years and was always frustrated with the way it was wearing on my oily skin. I tried other makeup brands here and there, but always went back to using Jane because it was better. I started coming to New Skinsations and told them how I felt about my makeup and what I was using, and she completely changed the Jane products I was using, and I love how it's wearing! I had no idea that were other foundation options and that the person who introduced me to the brand somewhere else had recommended all the wrong products for my skin type. I highly recommend New Skinsations for their product knowledge and more. She also addressed a few of my other concerns and showed me how to apply everything correctly. I am so happy with my makeup! Enhance your natural beauty with Jane Iredale mineral makeup! 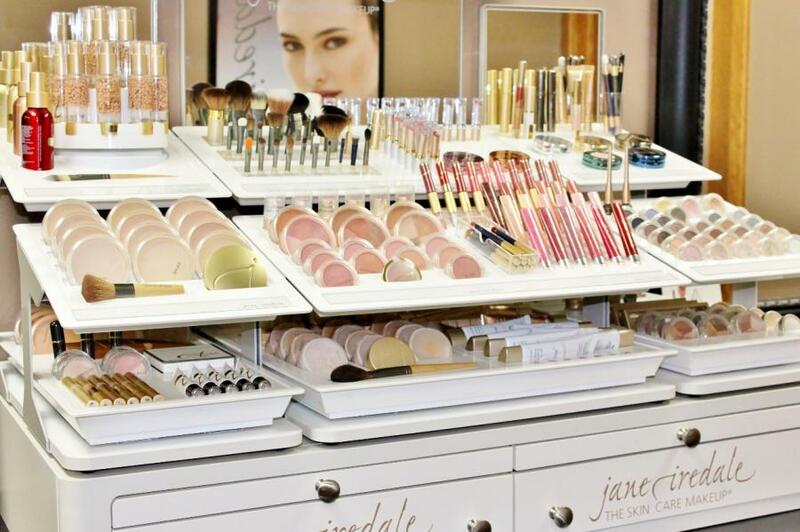 Whatever your cosmetic need may be, one of our skin care professionals can help you find the perfect shades to get started with Jane Iredale mineral makeup. During a complimentary makeup consultation, we will discuss your needs and interests, color match, and make helpful recommendations based on your skin tone, eye color, and personal preferences. Consultations are a great way to explore what Jane Iredale has to offer, and with your first application, you will see what makes this mineral makeup so different from the rest! We also offer full Makeup Applications.